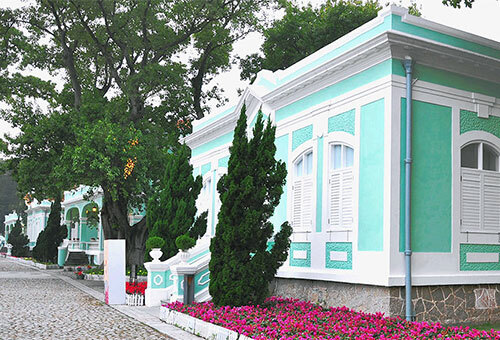 Lose yourself in the history and culture of Macau, finding every romantic corner with this guide. Travelling with only the two of you is a milestone for every couple, giving you the chance to really get to know each other. Once you’ve been together for years, it becomes a chance to spend some alone time together, reacquainting yourself with your partners little quirks. Macau, just a stone’s throw from Mainland China, Southeast Asia, Hong Kong, and Australia, the city’s charms are far too often overlooked by couples looking to spend some time together. Quiet moments alone, away from the hustle and bustle of the Shoppes, are hidden at every one of the Sands Resorts hotels. It starts with reserving your piece of peace and quiet: your room. Choose the most intimate suites and vistas, from The Parisian’s Eiffel Tower Room and The Venetian’s Rialto Suite to the Four Seasons’ Junior Suite. Spend your days relaxing by the water, taking a lap or two when Macau’s sunshine warms your skin. Or, stay out of the sun entirely and let our trained, experienced therapists take you and your partner on a journey of relaxation. Start with a gentle massage, maybe a steam, then begin a series of skin treatments, from facials to body wraps, that will leave you feeling refreshed, relaxed, rejuvenated. More adventurous pairs can tour the city’s incredible architecture by bicycle or boat, taking in the half-size Eiffel Tower, the view of the City from the top of the Macau Tower, and the incredible homes in Taipa. At sunset, marvel as the Eiffel Tower sparkles against the Macanese evening sky. Lucky couples may even see their personal messages spelled out along the tower's sides. Your messages of love as high as the sky, immortalized forever in the hearts of everyone who sees it. End your day with an incredible meal inside the Eiffel Tower, at La Chine. Executive Chef Alexandre Gaspard says that the most romantic table in all Macao has got to be La Chine’s corner table, with views of Cotai and the city. Then, make your way to level 37 for even more incredible views of the city or marvel at the grace and beauty in the movements and stories from the St Petersburg Ballet, showing at theatre in The Venetian Macao. At the end of each day, slip into your luxuriously appointed bed, and wrap yourselves in the bedding as your head sinks into the wall of pillows. Sleep well, there’s always more to explore together in the morning. 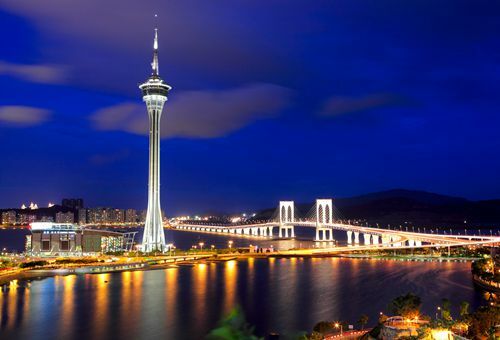 See Macau from its highest point, taking in the city below, the vista that goes stretches to Zhuhai and Lantau Island. Lose yourself in a maze of buildings and waves, arms wrapped around the person you love. The Tower is an architectural masterpiece, used for both telecommunications broadcasting and entertainment. Couples can marvel at the expanse of the former colony beneath them. Try to spot the hotel from the top! 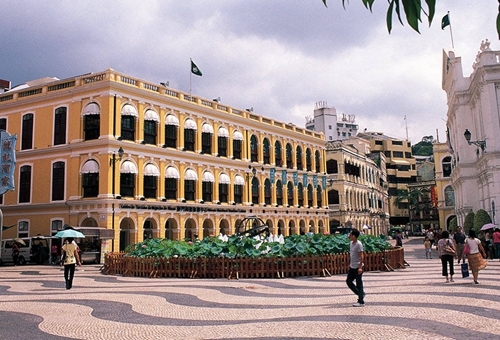 Possibly the most famous name in Macau, Senado Square is the beating heart of Portuguese culture in Macau. From it, you’ll find historic architecture of both colonial and Chinese traditions, the best street foods, from egg tarts to pepper buns. It is the perfect place to stroll hand-in-hand, taking in the sites and maybe taking a few selfies along the way. 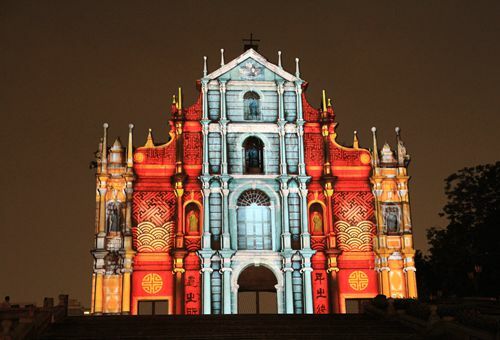 The former church is by far Macau’s most famous landmark. Just steps from the main section of Senado Square, stairs wind up to the former front door from the street, carrying you to the former top of the city. Far from an attraction just for couples, the Ruins of St Paul’s Cathedral is a must-see for first time visitors to the city and a must re-see for city veterans. 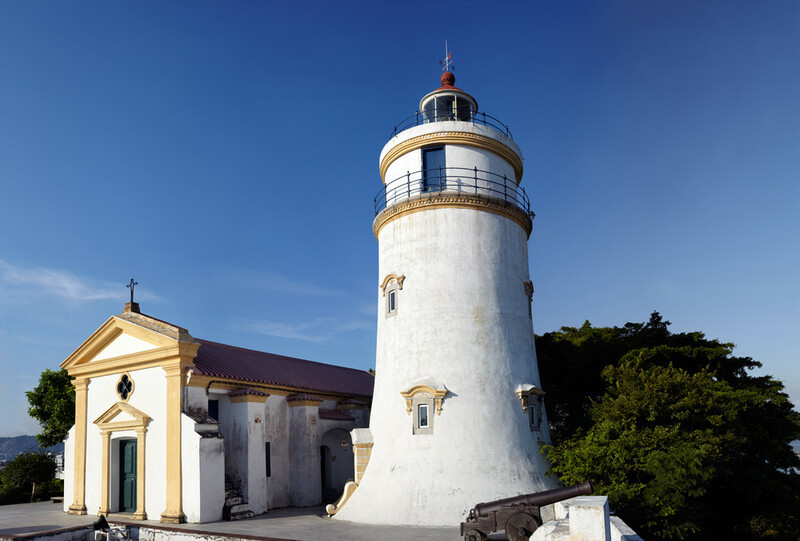 The 17th century fortress was built by the Portuguese to protect their Macanese territory. Couples will enjoy this site more than they do the Fortaleza do Monte because of its exquisite architecture and surrounding park. 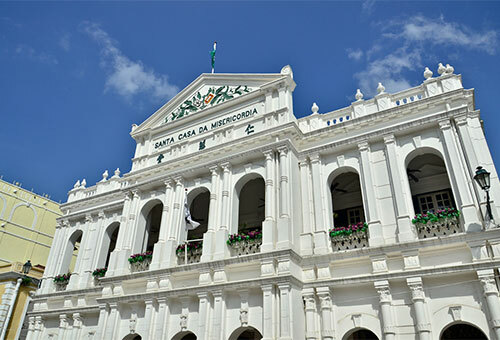 Tourists will have a wonderful time strolling through on a Saturday morning, people watching Macanese locals as they exercise on the machines inside. St Dominic Church sits in the center of the Macau City center, along the tiled streets branching off of Senado Square. Follow the roads as they twist and watch as the church springs into view, its yellow façade catching your attention before the beautifully delicate white filigree and green shutters. Five houses, built in 1921, make up this charming museum. Step inside and imagine the two of you living here, before TV, cell phones, and the internet made your lives what are today. The green facades of the houses are typical of the period and seem more like cottages than homes to modern eyes. The best way to explore the houses is by bicycle. Couples, unlike big tour groups, can be free to explore the city at the own pace, in their own time, pausing to take in an unexpected site of to take the perfect vacation photo. Four Seasons Macao can help you to make this leisurely day with your love a reality, whether on the water or on the roads. Inquire to reserve your boat or bicycle with them (terms and conditions may apply).